Taking control of your flash changes your images from ho-hum snapshots to works of art. I just found a solid tutorial that covers different methods for balancing flash output with ambient light. In the article, How to Use Flash With a Slow Shutter to Create Motion and Ghosts by Cameron Knight on PhotoTuts, you'll learn how to adjust your lighting to create far more interesting effects than you would ever get in auto-everything mode. It's definitely worth a read. And don't forget, this week's TDS podcast is on Backlit Portraits. 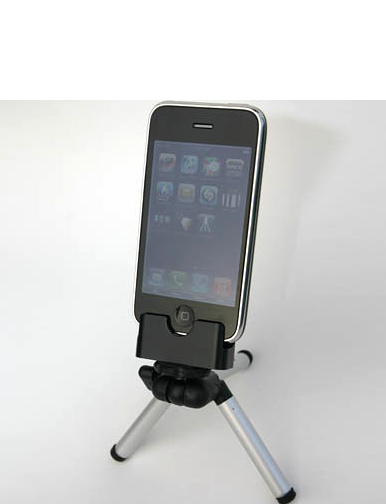 Now you can steady those videos and group shots captured with your iPhone thanks to the Blur Tripod for the iPhone. For only $14.99 US (plus $5 shipping and handling), you get the adapter that enables you to mount the iPhone on any tripod. 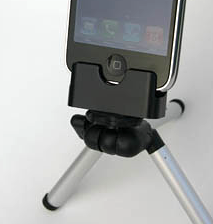 They also provide a mini tripod that fits easily in your pocket. The Blur tripod itself is 5" long (6.5" extended) and 3â„4" in diameter. The tripod adapter is 2" wide, 1.5" tall, and 0.8" thick weighing in at about 2 ounces (60 grams). The adapter works on any standard tripod. The pads on the inner surface of the Blur adapter cushion the iPhone, yet provide a snug and secure fit. Blur states that the pads will not scratch the screen. You can order the kit directly from the Blur site. Backlit portraits can be dramatic and beautiful, especially if you know how to set up your camera. In this show, I explain three sure-fire techniques for great backlit portraits. First, I position the model with the sun shining on her hair, then take a few test shots. This helps me evaluate the lighting. Then I switch to spot meter mode and take an exposure reading off her face. I'll often try adding light via reflectors or using natural reflection from the surroundings. If none of these techniques work the way I want, I'll then use fill flash. I might use fill flash also if I'm covering an event and have to work quickly. The sample you see here uses the walkway to bounce light up into the model's face. She is kneeling down to be closer to the reflected surface, and to add variety to the poses we experimented with during the shoot. Photo by Derrick Story using a Canon 5D Mark II with a 70-200mm f/2.8 L IS zoom lens. Simple is the Sept. 2009 Photo Assignment. My original thought was the power that comes from a simple composition, with as few elements as possible. But you might find another twist on this month's theme. You can read more about how to submit on our Member Participation page. Deadline for entry is Sept. 30, 2009. 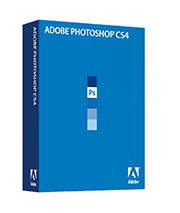 Final versions of Photoshop Camera Raw 5.5, Photoshop Lightroom 2.5 and DNG Converter 5.5 are available for download at www.adobe.com/downloads/updates. The updates add Raw file support for five new camera models: the Nikon D300s, Nikon D3000, Olympus E-P1, Panasonic DMC-FZ35, and Panasonic DMC-GF1. The updates are also available using the Adobe Updater that's under the Help menu in Bridge or Photoshop. Camera Raw 5.5 update is available as a free download for existing customers of Photoshop CS4, Photoshop Elements 7, Premiere Elements 7 and Photoshop Elements 6 for Mac. Lightroom users only have to launch Lightroom 2.4, and it will let you know that 2.5 is available with a link to the Adobe Downloads page where you can grab it for free. "On our way to the Chicago Diner for dinner," writes Rick Brandt, "we happened to get off at the Wrigley Field stop on Chicago's CTA line. Being a baseball fan and this being the first time I ever saw Wrigley in-person, I was compelled to walk the perimeter of the ballpark and take a few shots. This was several hours after a Saturday afternoon game had ended and there wasn't a whole lot going on. The shots I was getting reflected such--very tourist-like." "Then I saw this group of sailors heading for the corner. I backed up a bit to frame up the famous sign and leave room for the sailors to walk through the frame, and made the photograph. I recorded the shot with a Canon G9. Post-processed it with Aperture and Nik Software's Viveza and Color Efex Pro." Photo by Rick Brandt. Click on image to zoom to larger size. On Feb. 12, 2008, Apple released Aperture 2. Now, more than a year and a half later, it's time for Aperture 3. Here's why I think we'll see the next generation by the end of 2009.
iLife 09, which was a massive undertaking by Apple, is now signed, sealed, and delivered. There are shared resources within Apple for iPhoto and Aperture, so it's difficult for them to release both products within a short time span. Snow Leopard is already at 10.6.1. 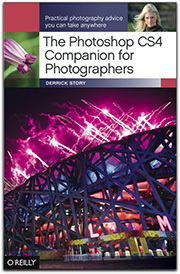 You can bet that Aperture 3 is going to leverage technologies within the latest operating system. So, Snow Leopard had to hit the streets before Aperture 3. Now that it's on the prowl, the cage door is swinging open. Lightroom 3 is around the corner. Chances are good that we'll see Lightroom 3 in the not-too-distant future. You just know that Apple wants to have Aperture 3 out first. The grumble effect. Once we get deep into the product cycle, users start grumbling about an update. Whether it's coincidence or not, when the complaining reaches a certain pitch, we usually see a release. Not sure if this is chicken or egg, but the grumble effect is in force right now. So, assuming that I'm right and we'll see Aperture 3 by the end of the year, what's it going to have? I wish I knew. My guess is that we'll see some of the technologies introduced in iPhoto '09, plus some new things that we aren't even imagining right now. I'm assuming we'll have more localized edits, better speed, and continued integration with other Apple technologies. I'm confident that it will be a solid release. And I can't wait to try it. When I first saw the 17" x 22" prints that emerged from the original Epson 3800, I was impressed. I wanted to cover my walls with big pictures. Seriously, it made my current 13" x 19" enlargements look like snapshots. Now Epson has announced that it will ship the new Stylus Pro 3880 in October. Estimated price will be between $1,300 and $1,500, depending on configuration. Aside from its impressive output, the footprint for the 3880 isn't much bigger than many 13" printers. That means you could probably swap out your existing unit and put the 3880 in its place. Other highlights include: exceptional B&W output, no swapping ink cartridges for matt and glossy surfaces, handles cut paper sizes from 4 x 6 up to 17 x 22, includes USB 2.0 and 10/100 BaseT Ethernet connectivity, and it automatically maintains print heads and nozzles. If you're looking to move up from a 13" printer, the Epson Pro 3880 has to be a serious contender. It's official. Yahoo! just released Flickr 1.0 for the iPhone. And after a few hours of testing, I have to say it was worth the wait. When you first launch the software on the iPhone, you're greeted with a Ken Burns styled slideshow. If you're not logged in, the images are pulled from the Flickr pool. If you are logged in, the pictures are from your contacts. They look great and it's an innovative splash screen. Once you've logged in to your account, click on the "You" button to access your photostream, sets, and favorites. I particularly like the way the sets are handled. They are well-displayed with easy-to-read labels. Go back to the main screen, and you can check out recent activity on your site and uploads from your contacts. If you want to share one of your photos, that's easy too. Either take a picture with your iPhone or upload one from your existing camera roll. You can also search for images, comment on shots by others, and tag photos. Performance was good on both the 3G network and WiFi. 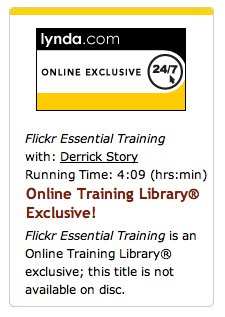 Just be careful, you can easily lose track of time while browsing the immense Flickr collection of images. For the best viewing experience of your search results, tap on a photo once to see detail about it, then tap on it again to enter presentation mode. Here you can swipe from image to image or rotate to landscape orientation for a better look at horizontal pictures. Flickr 1.0 is a free download in the iTunes App Store. It requires iPhone OS 3.0 or later. 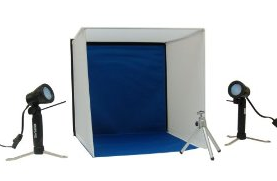 A "mini" photo studio is a handy way to shoot small product shots for sale on eBay and Craig's List, documenting items for insurance records, illustrating articles and reports, and publishing pictures on web sites. One of the advantages of these micro studios is that you can leave them set up for quick shots when you need them. They don't have to be expensive either. For example, you can get this Digital Concepts Ps-101 Portable Lighting Studio on Amazon for $27.49 that includes the diffusion box and a couple of lights. You can even build one yourself. Strobist has a great "how to" article for building a DIY $10 Macro Photo Studio. In this podcast I give you a handful of useful tips for getting the best shots possible from your mini studio. It's a lot of fun! 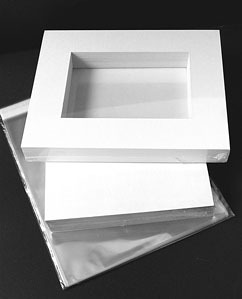 REDIMAT makes presenting your pictures fast and easy with their convenient REDI-PAKS. 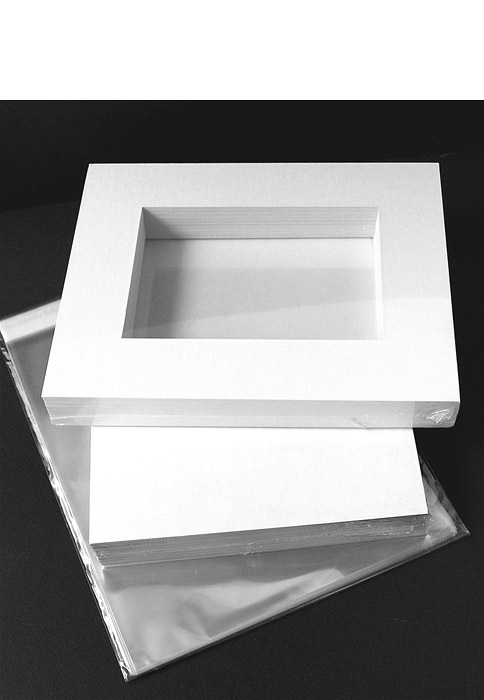 Each kit includes 25 pre-cut mat boards, backings, and plastic bags. Starting at only $27, you're sure to find something to fit just about any budget. Be sure to check out www.redimat.com to view everything they have to offer. And, don't forget the archival tape... you can find an excellent selection of adhesives at REDIMAT, too.